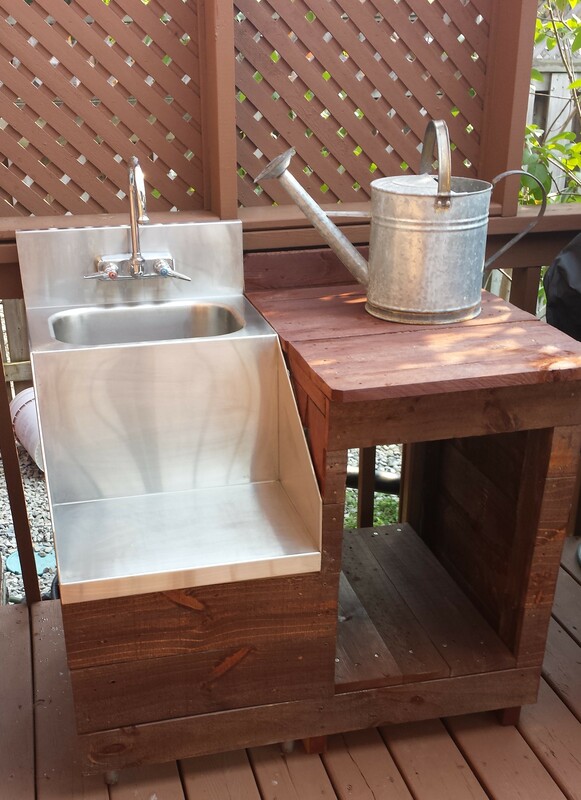 Here’s a fantastic little DIY for an outdoor sink and counter made from old pallets. 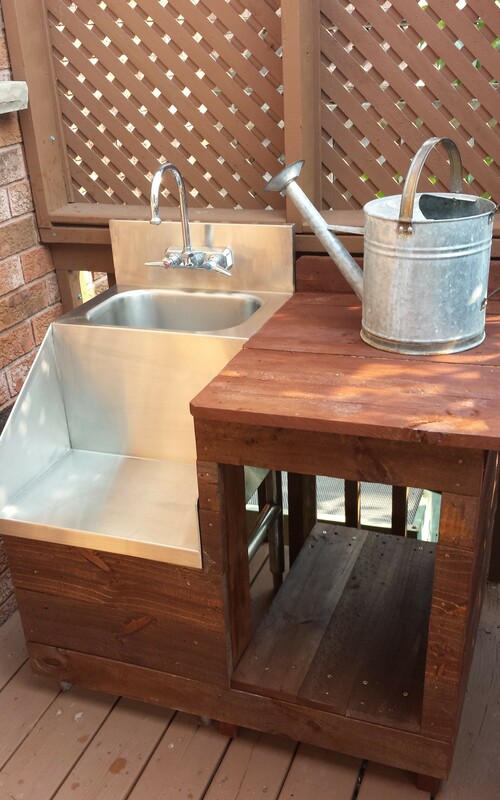 Mr. Restyle and I had this idea to find an old sink and create a fully functioning place to wash fresh veggies from our garden without dragging dirt and mud into the house every time. 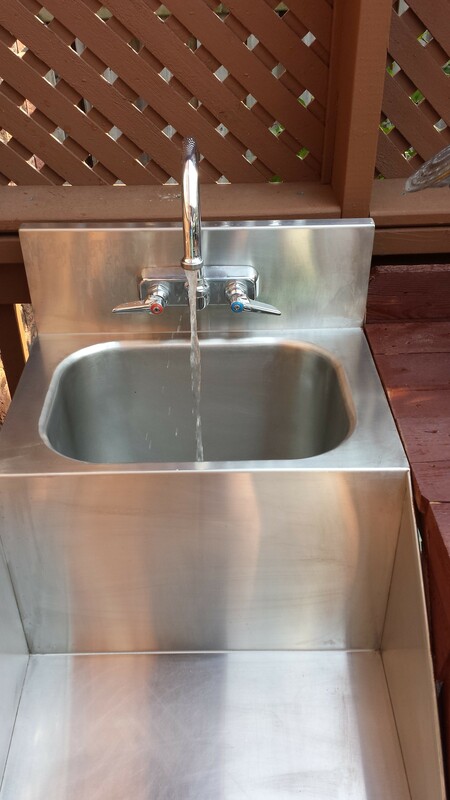 It also makes for a great area to pot plants and wash hands. Conveniently located right next to our BBQ. I do realize that some people might think this is a crazy idea. Never one to worry about what others think, we just went for it. 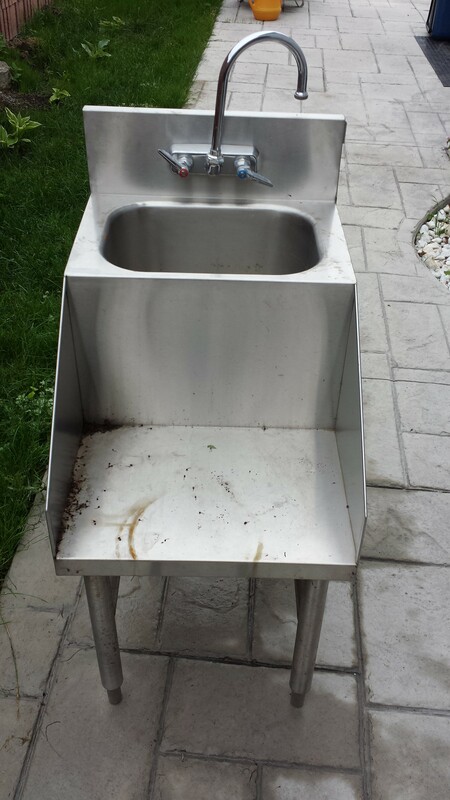 Found this old industrial looking sink which we think came from a restaurant. 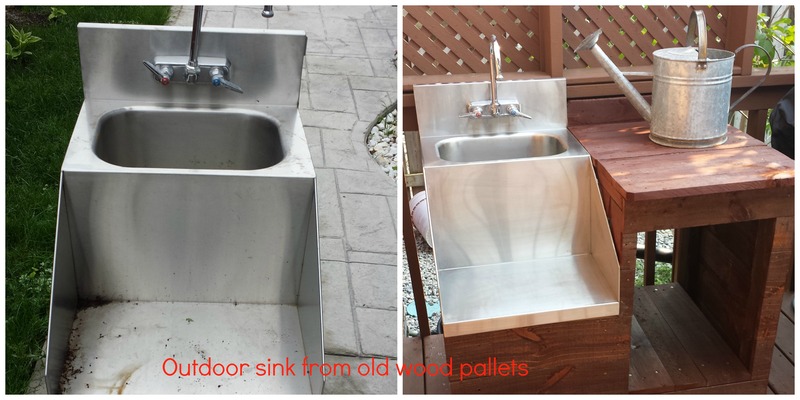 A fabulous find ready to become our new backyard sink. I love that it has a prep area in the front. It was a bit rusty and dirty but nothing a little elbow grease couldn’t take care of. I have been doing so much sanding and bending lately that I’m actually starting to tone my biceps and my thighs. Yay me! Out of 2 pallets he constructed this. 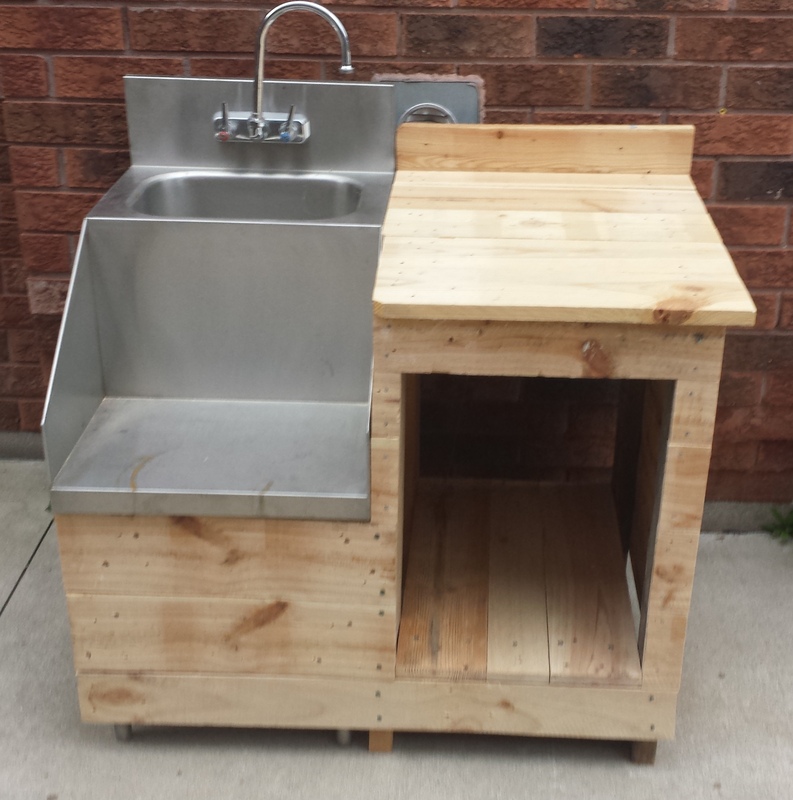 Sink surround and counter constructed from 2 old wood pallets. I like the rustic look but it had a couple of different wood types so I decided to give it some stain from the little bit I had left over from another project. Here it is after just a quick coat of stain. It’s so cute, don’t you think? And the best? It really, really works! Cold running water from the attachment to the garden hose.